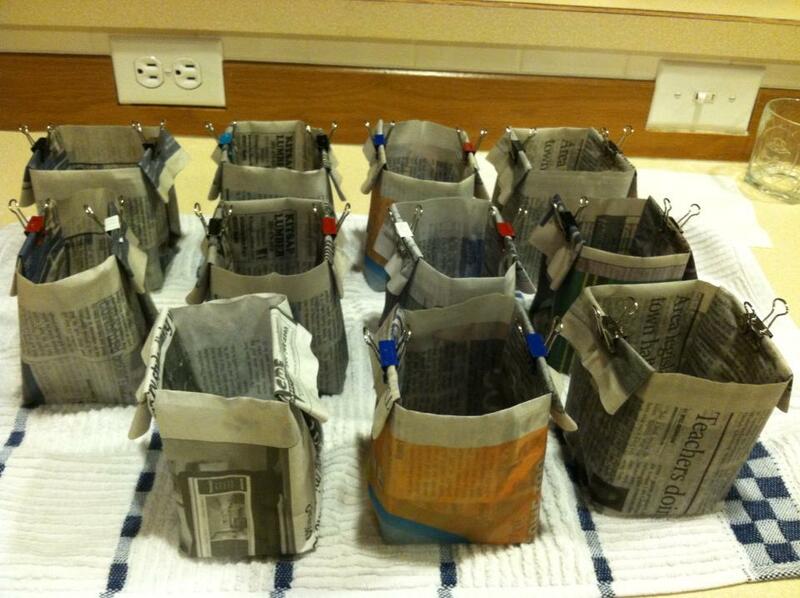 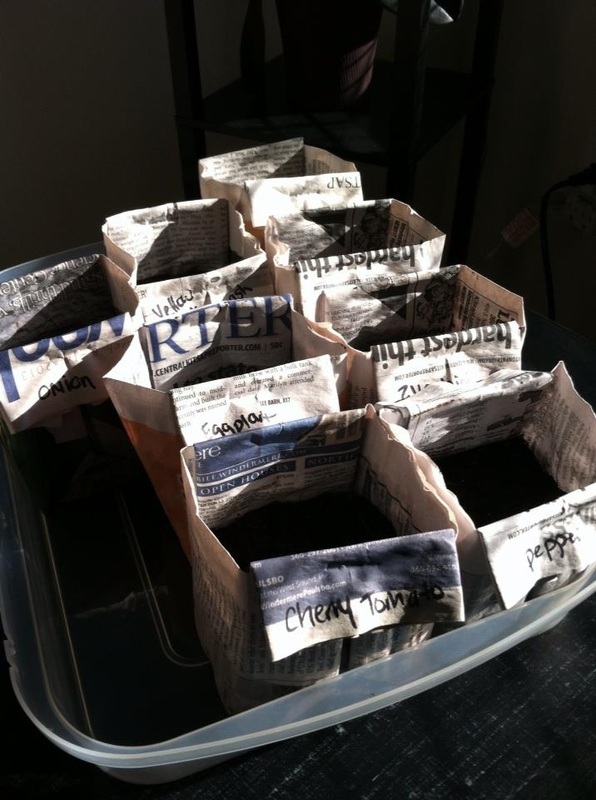 Newspaper seedling starter pots all planted! 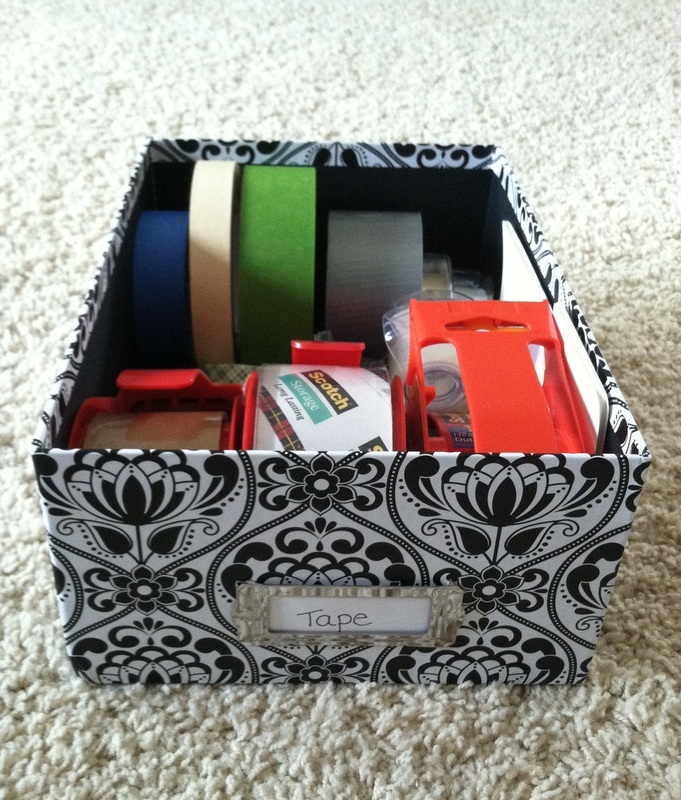 Simple photo box from the local craft store takes care of my tape situation! 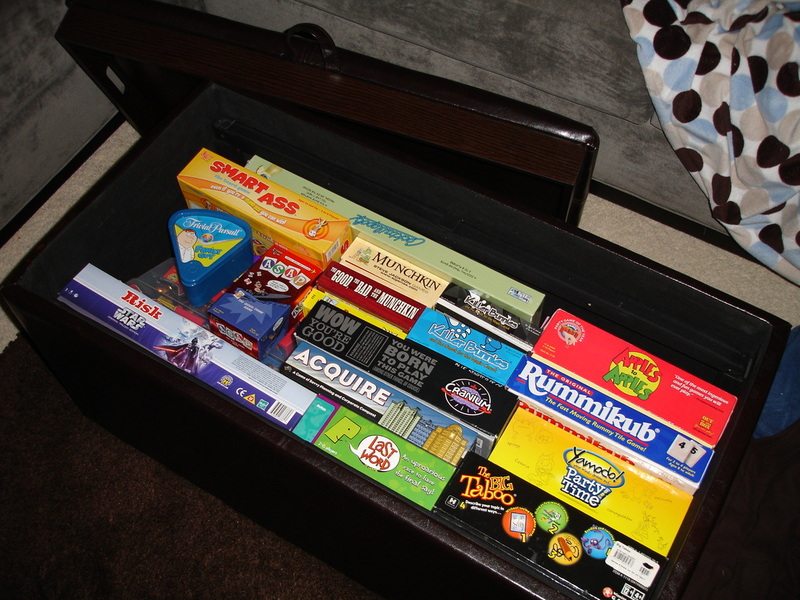 Storage ottoman is a perfect spot for storing your games!